Thoughtfully designed Cake Toppers, as beautiful as they are functional, turn celebratory events of enduring love into memorable occasions. Willow Tree Cake Toppers showcase the love between bride and groom by reflecting gesture but not faces. Promise Cake Topper, Together Cake Topper, Around You Cake Topper and Anniversary Cake Topper speak of romance and union with their gestures of love. 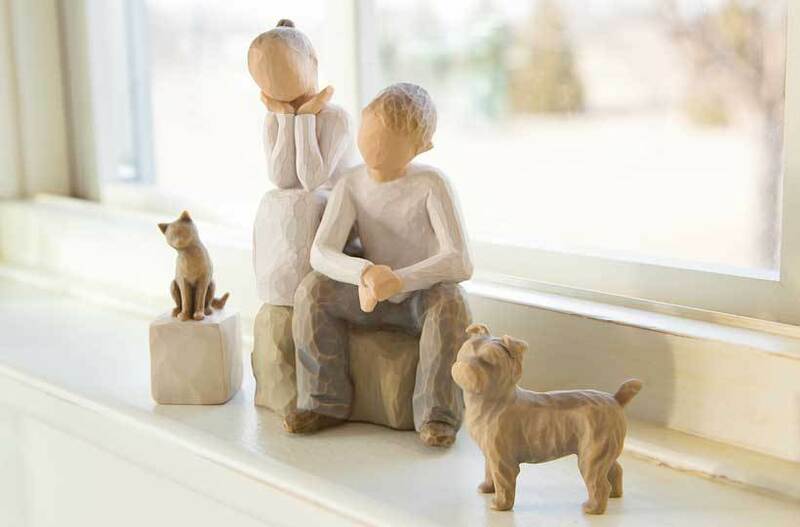 Each popular figurine is scaled down in size and has a base of carved flowers which helps stabilize the figure on the cake and works into many different type of wedding cake designs and florals. After the reception, these Cake Toppers can become lasting keepsakes of the happy event.